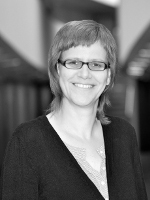 Claudia Jünke is Professor in Spanish and French literatures and cultures at the University of Innsbruck. Her research focusses on modern and contemporary literature and culture in France, Spain and Latin America, with a special interest in cultural memory of violent pasts, cultural identities, narratology and intermediality. She received her doctoral degree from the University of Cologne in 2002 and her postdoctoral degree (Habilitation) from the university of Bonn in 2009. She is the author of Erinnerung – Mythos – Medialität. Die Darstellung des Spanischen Bürgerkriegs im aktuellen Roman und Spielfilm in Spanien (Berlin 2012) and the co-editor of La Movida revisitada. Perspectivas actuales sobre un fenómeno cultural y transmedial (Würzburg 2014). Her articles have been publishes in a variety of international journals and books. Jutta Weiser teaches Romance Literatures at the University of Mannheim (Germany). Her research intereses are focussed on French, Spanish and Hispano-American Literatures and Cultures, with a special interest in the relationship between literature and medicine in the 19th and 20th centuries, transatlantic literary relations, postcolonial theory, literature and painting in the baroque era, as well as the history and theory of authorship. Her habilitation thesis Poetik des Pathologischen. Medizin und Romanliteratur in Spanien (1880-1905) was published in 2013. 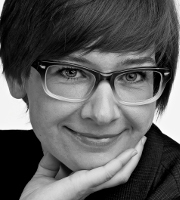 Her recent articles: „,Tout voir, tout savoir, tout conquérir‘ – Zur Poetik des Naturalismus in Claríns La Regenta”, in: Archiv für das Studium der Neueren Sprachen und Literaturen 255/1 (2018), 123-149; „Pagane Mythen im auto sacramental: Zur transkulturellen Poetik in Sor Juanas El divino Narciso und seiner Loa (mit einem Seitenblick auf Calderóns El divino Orfeo)“, in: Romanische Forschungen 130/1 (2018), 36-69; „Del lugar infeccioso a la invasión de microbios: fantasmas coloniales entre geografía médica y bacteriología”, in: Christian von Tschilschke/Jan-Henrik Witthaus (eds. ): El otro colonialismo. España y África, entre imaginación e historia. Frankfurt a.M./Madrid: Vervuert 2017, 131-148.